My dad died on October 7, 2015. 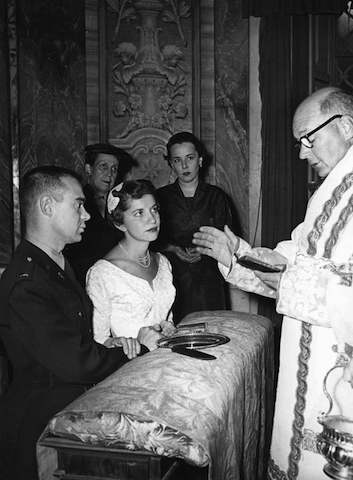 60 years ago today, November 4, 2015, he and our mother were married at The Vatican, St. Peters Cathedral. In July of 2015, he knew something was wrong; and called my brother, the Associate Dean of Medicine at UW in Seattle. In short order, the doctors performed a biopsy and diagnosed a rare form of (somewhat) treatable brain cancer. The first of potentially four rounds of chemotherapy was a nightmare. A few days in, he was partially paralyzed and unable to find words accurately. After several weeks of physical therapy, occupational therapy, and speech therapy he was able walk and tell stories again, but felt he had reached a plateau; even if the tumor could be stopped, his quality of life was impaired. He told us, “I’m 86, I’ve lived a good life. I’m not going forward with more chemo.” It was a tough decision, one he came to only after conversations with his wife, his priest, his doctors, his nurses, his kids. I think the only reason he was even considering further treatment was because of us. All of us. Above all, my mom. He moved to “The Second Floor” of Mirabella [code for the skilled nursing and/or hospice floor at the continuing care retirement community where they resided in Seattle] for his final weeks. 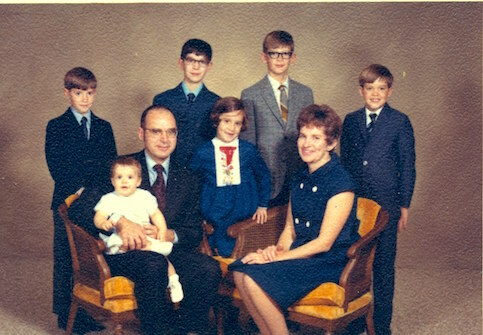 From the diagnosis until his death, my brothers, sister, a daughter-in-law, a few grandkids and I all took turns traveling to Seattle to support him and mother. We shared a Google calendar and used Whatsapp, an instant messaging program to coordinate and stay in touch. Since I’m the second closest in distance, I was bedside second-most. From July to the first week of October, I ate more meals at Mirabella or the hospital than I did at home in Portland. I spent days, and at least a half-dozen nights at his bedside. Sometimes talking to him. More often just holding his hand. Chasing down nurses, “He’s in pain…” “He needs help….” “We pushed the call button 45 minutes ago….” I created a dry erase chart to help reassure my mom that he was receiving medicines in a timely manner. Through it all, he remained dignified and true to self. Which, when it comes to brain cancer, is a true blessing. The last time he talked to me, he told me he loved me. Dixon and I brought a special bottle of Oregon Pinot, a 2008 Reserve, One that we knew he’d enjoy. A week later was the last time I talked to him. I told him I loved him. We all loved him. He had been a wonderful dad. That it was OK. We would miss him. But we understood he needed to leave us. We would take care of mother. He squeezed my hand. My brother Chris, next in line for care-giving duties, flew in from Detroit. I gave Chris the run-down on how things were, hugged my mom, and got on the train back to Portland. Normally, our family is very private. We don’t share intimacies such as this. But somehow, I feel compelled to write. One thing we will all miss are his amazing stories of growing up in upstate New York. I didn’t record nearly enough of them. These past few weeks, when I can listen without crying too much, I’ve transcribed a few of the voice memos. He was a life-long learner, and practiced cutting edge medicine which was sometimes surprising to his co-workers but proved to be the current accepted practice. He was dedicated to doing what was right, regardless of its popularity. He was never part of a club, fraternity, “old-boy” network, etc. and managed to succeed despite not benefiting from the access, knowledge, and leg up support these groups provide. He was polarizing and not a good politician. If you were a “Meanie” or unethical, he gave no quarter. People who understood him loved him for this; others either embarrassed to have been called out, or not understanding his honesty, didn’t. I wish I’d listened more carefully and pulled out my recorder more often. There are nuances I missed at the time and never caught. Now I’ll not be able to ask, either. Tom was born Thomas Edgar Ryan on April 15th, 1929 and grew up in Ballston Spa, New York. He was the oldest of five children and ruffled more than a few feathers by being one of the first in his generation to attend a four-year college. He then worked his way through medical school at Georgetown in Washington DC, followed by service as an army captain stationed in Germany. 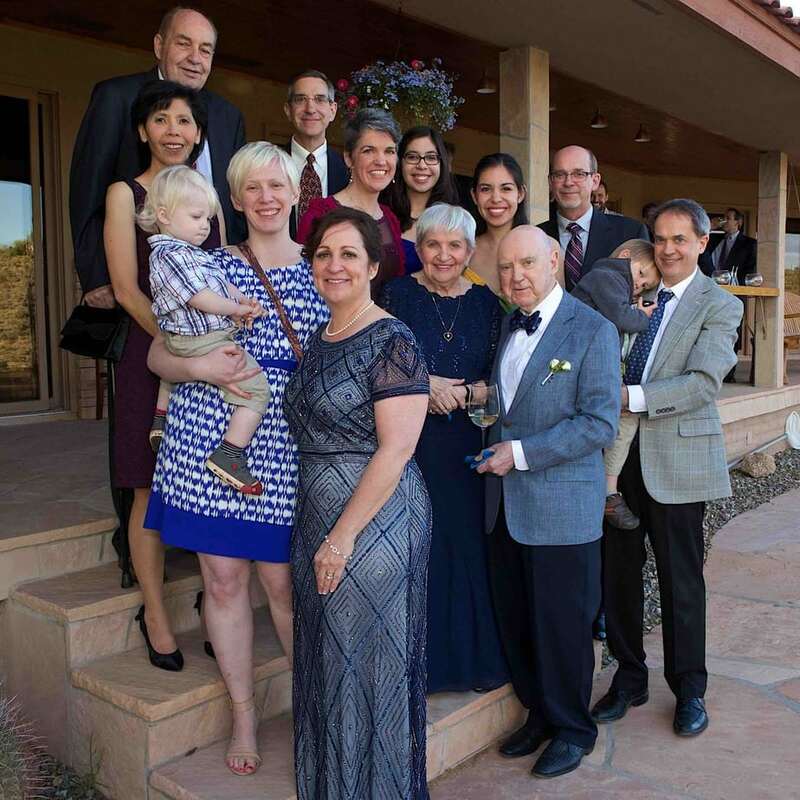 He met the woman who would be at his side for the rest of his life, Dolores Ross, a nurse, during medical residency in Detroit Michigan, and together they built his medical practice and raised a family in the surrounding area. Tom was a modern-day renaissance man, always tackling new things and challenging the status quo. He was the first anesthesiologist in Macomb County outside of Detroit, and established many programs and procedures there that we take for granted today – CPR classes, Emergency response protocols, ICU, and so on. His efforts were recognized by numerous service awards. 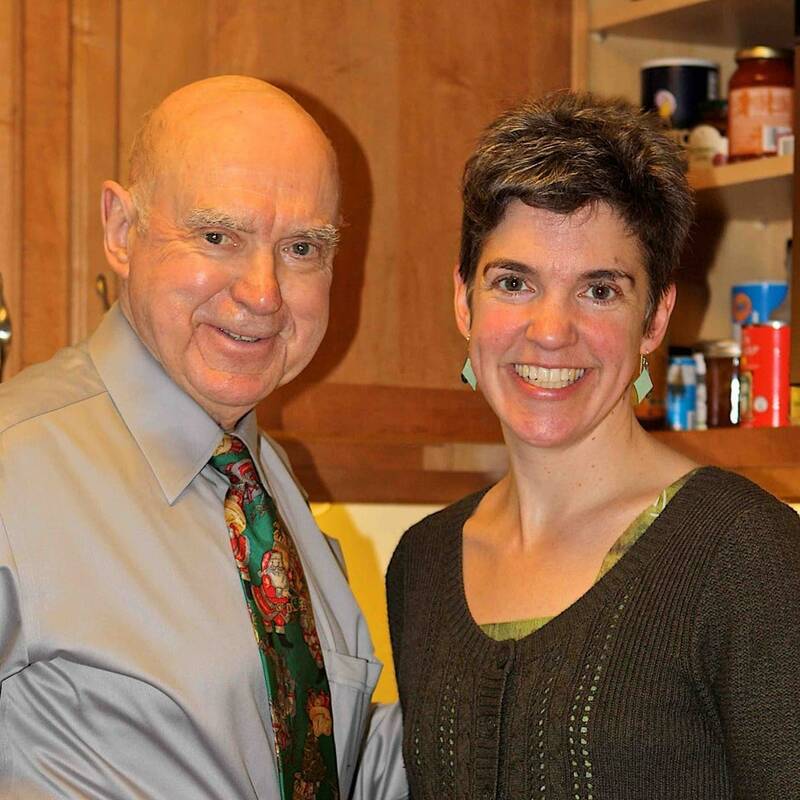 Later he and Dolores moved to Ann Arbor, where after nearly four decades of medical practice, they transitioned into retirement and started a new hobby: golfing. This followed them to Arizona, where they lived for 10 years. 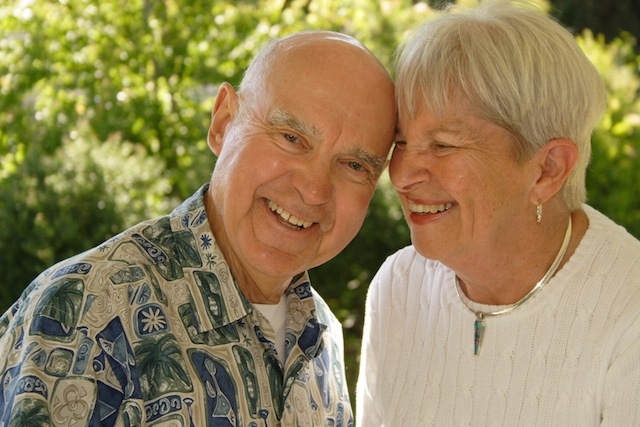 In 2009 he and Dolores moved to Seattle and actively joined the community at Mirabella as charter members. There Tom made many new friends, and continued to push forward: organizing opera nights, wine tasting events, classical music appreciation, a bus to church, monthly mass, and of course “Bow Tie Tuesday” for his fellow dapper dressers. In life, Tom enjoyed a sophisticated wine collection. He enjoyed the opera and symphony and generously supported the arts. He was knowledgeable of American history and had a voracious memory for facts and figures. 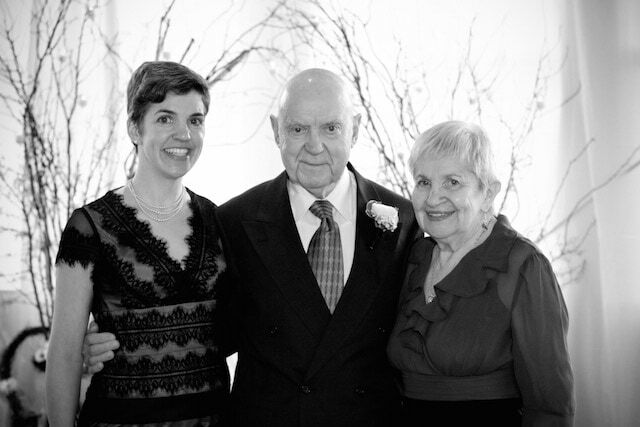 His children had fun quizzing him – and were always amazed at his near total recall. He was an avid student throughout his life and stayed current as an audiophile, oenophile, photographer and bicyclist. His approach was consistent: “read the manual”, “do it right”, “be deep and thorough”, “never compromise on quality”. Tom’s energy, enthusiasm for life and the fascinating stories growing up in a small town during the 1930’s and 40’s, which seemed to only get better with time, will certainly be missed. Tom is preceded in death by his parents, Dorothy and John Ryan, and by his sister Anita. He is survived by his loving wife of nearly 60 years, Dolores; Sisters: Rhea, Liz, and brother John; his six children and their spouses: Thomas (May Lin), Christopher (Barbara), Matthew (Charlene), Michael (Christy), Monica (Doug) and Carolyn (Dixon); ten grandchildren: Patrick, Scott, Stephanie, Katie, Christine, Brigit, Matthew Jr., Andrew, William and John and two great grandchildren: Jocelyn and Cole. Carolyn, this is you at your best. I am so blessed to be your friend. I met your dad several times and thought he was a really elevating, intriguing man. Your stories flesh that out so poignantly. I want to hear those stories about upstate New York and bringing Macomb into the twentieth century.